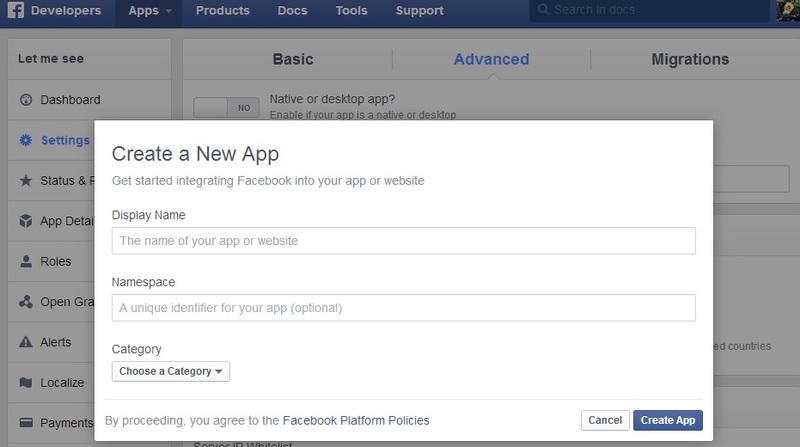 Go to the url : https://developers.facebook.com/ and start creating your Five Step Facebook App. 2. As you will set the App Name and click on 'SAVE'. It will navigate to 'Dash-Board'. 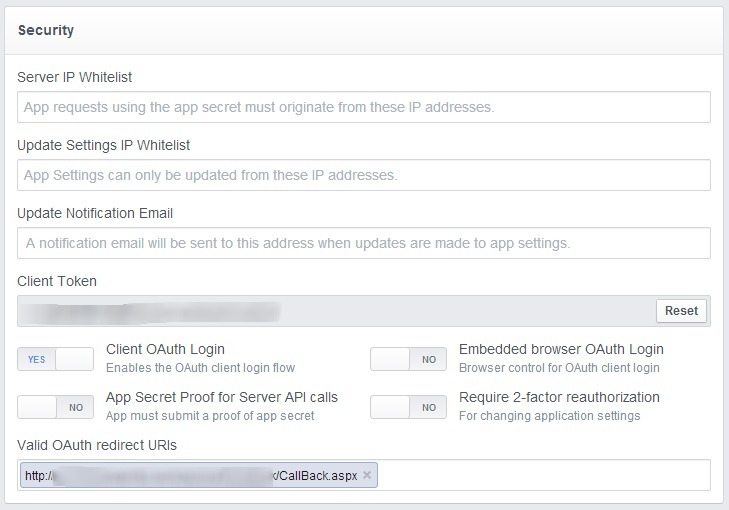 You can check your APP ID and APP Secret under Dashboard. 3. Now Click on 'Settings' from Left menu. You will be navigated to 'BASIC' tab. Here You should do some basic preparation for your App. App Name : You can change the App name here. Email : Set the email here you want to be notified at. 5. One more thing and we are Done with creating an App on Facebook. Just Enable(ON) the setting 'Stream post URL security' on migration page. Click on 'Save Changes' the last time in Step 5. You have created a Facebook App Successfully.